RoyalHabanos.com is committed to protecting and respecting your privacy. The following policy will outline how we gather and use any information from our customers, visitors, and guests. If you have any questions or concerns regarding the policies set forth here, you may contact us at any time. RoyalHabanos.com gathers information about customers so that customers may quickly navigate our site for products of interest, accurately place orders, and improve your experience at RoyalHabanos.com Our goal is to provide our customers with the highest level of service possible. From your first visit to our web site to the delivery of your order, we want you to be completely satisfied with the experience. By collecting information, we are able to offer you features (such as login and password information) that save you time during the order process. To process your order, we require you to supply us with your correct billing, shipping and contact information (email address and phone number). The transfer of this information is secure and cannot be received or read by others. Your credit card information is only shared with our bank for authorization. Emails: If you have selected to receive our weekly email specials by supplying your email address to RoyalHabanos.com, we will send out our exclusive weekly cigar deals special. If you choose to discontinue receipt of these specials, send a message to [email protected] or simply click unsubscribe button. Additionally, we use your email address to send order confirmation emails and invoices. Contact RoyalHabanos.com anytime to modify your personal information. Additionally, you have the ability to change your personal information online anytime you log into your account. You may, at any time, opt out of receiving any communication from RoyalHabanos.com. You can also Contact Us directly and we will take care of it for you immediately. Cookies are used to identify how a person arrived at RoyalHabanos.com and stores information about their shopping cart. A cookie identifies you while you are at RoyalHabanos.com and keep track of items in your shopping cart between visits. Cookies never contain credit card information and they are actually stored locally to your computer and are only read by RoyalHabanos.com. RoyalHabanos.com is committed to protecting your private information. To help safeguard against unauthorized access and to ensure appropriate use of information, we have put in place systems and procedures to secure the information we collect online. We protect the security of your information during transmission by using SSL (TLS 1.2) software, which encrypts information you input. Our website has security measures in place to help protect against the loss, misuse, and alteration of the personal information and Data under our control. 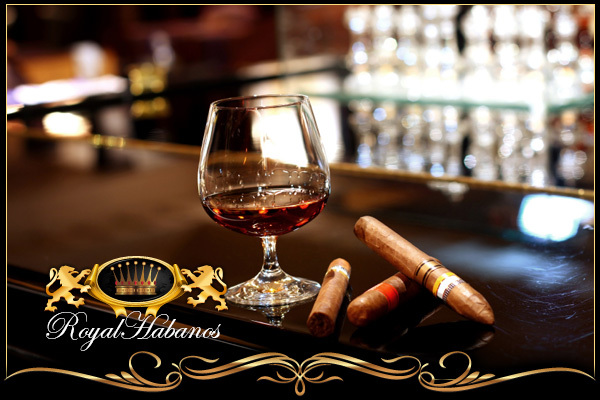 RoyalHabanos.com hosts the website in a secure server environment that uses a firewall and other industry-standard technology to help prevent interference or access from outside intruders. Absolutely. We use latest SSL (TLS 1.2) encryption technology ensures the safe delivery of the information you provide online. In addition, we do not store your sensitive personal information or share (or sell) any data with other third parties; this practice assures you that unauthorized parties cannot gain access to your sensitive personal information. We are committed to only selling our products to adults who meet the legal age requirement to purchase tobacco products. As a part of meeting that commitment, we use a non-affiliated third party age and identity verification company, to assure that you are of legal age to purchase our products and are who you say you are. Age verification services use multiple trusted data sources containing billions of public records to return an age validation based on the personal information submitted by you. This service is specifically designed to validate and protect your identity while maintaining the highest level of consumer privacy when processing online transactions. Access to the public records allows them to validate the information you provide and in some cases, depending on the nature of your purchase, present a series of multiple choice questions based on non-credit related (“out-of-wallet”) historical facts about you as an individual. These facts are obtained by instantaneously scanning billions of public records from trusted data sources containing information that would not generally be found in your wallet if lost or stolen. A small percentage of shoppers may not be verifiable due to limited availability of publicly available information contained within Age Verification databases. If this happens, we will attempt to contact you via phone and email to verify your age. To do this we typically require a copy of your driver’s license or some other form of government issued ID that verifies your date of birth. RoyalHabanos.com may update this Statement at any time, so please review it frequently. If we make material changes to this Statement, we will notify you in this Statement, by email or by a notice posted on the home page of the Site.